If you were around 80’s, the year 2015 is of special significance. 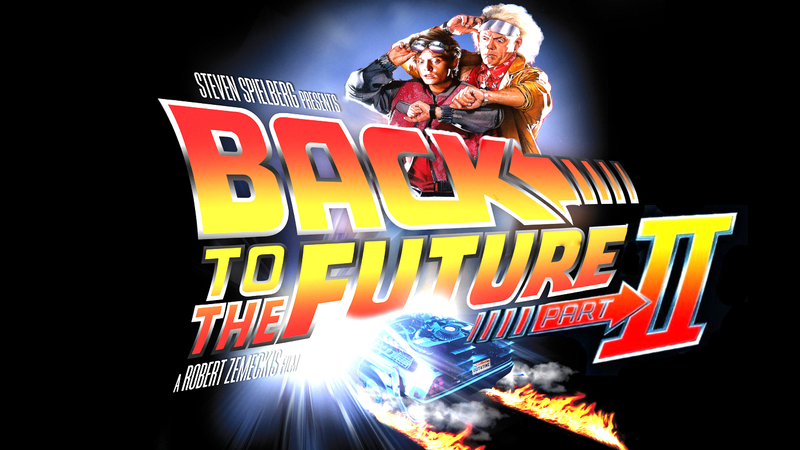 Back in the 80’s Steven Spielberg released his blockbuster time travel trilogy Back to the Future. In the second movie Marty McFly journeys 30 years into future. The movie, set in 2015 depicts our 1985 prediction of what the future would be like (they totally missed the boat with cell phones). As Marty steps out of his De Lorean time machine, he is met with flying cars, talking clothes, automatic shoes and the iconic hover board. Looking back at the movie, we haven’t come as far as we thought we would have. As I thought about this my mind naturally turned to fitness. How far have we come? Are people really fitter today than they were 30 or more years ago? Why are obesity rates rising? Why is there an increase in chronic diseases? Why is the military lowering their entrance fitness standards? Why are kids getting what used to be called “adult onset diabetes?” Is our industry really advancing? Is our application of effective training methods really improving? Where is our industry headed? How do we stay on track, improve the effectiveness of our training and look forward to a brighter fitness future? Read on to find out. Equipment: the machine era of the 70’s, 80’s and 90’s and the silly functional training toys that have infiltrated gyms since then have been a major distraction from effective exercise selection. Forums allow people with no credentials, success or experience to hide behind silly screen names (e.g. big_guns22) and give bad advice. The human body hasn’t changed. Stick with the basics. What worked 100 years ago will still work today. Place an increased importance basic human movement. Most people have un-learned how to move or where never given the chance to explore human movement in the first place. Recognize that really effective exercises will fall into a few basic categories: sprint, jump, throw, squat, hinge, push, pull and loaded carries. I know these are as old as dirt, but they work! Find safe, effective variations of these movements and do them! The best equipment is old: barbells, dumbbells, strongman implements (e.g. farmer’s walk bars, sleds), kettlebells and gymnastic rings have all been around for ages yet they are still the best tools to improve performance and sculpt a great-looking body. Steal from many different styles of training. 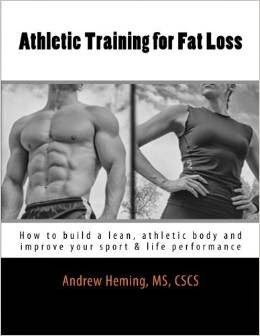 For example I specialize in training athletes and people that want to look and feel like an athlete. However I study powerlifting, weightlifting, strongman, bodybuilding, gymnastics, track & field and physiotherapy. Don’t lock in to one style of training. There is great stuff in many areas that you can apply to your training! While there are endless really cool fitness aps and other related technologies available, proceed with caution. These can help, but they can also be a major distraction. I’m still a huge fan of just a paper notebook and pen to accompany me to the gym. Devices (e.g. phones, tablets) are useful, but can add stress and thus interfere with your recovery. Makes sure you take some quality time each day away from screens and devices. Life is busier and more cluttered than ever. Seek to simply and live at a sustainable pace. Your recovery (and thus your gains) as well as your health, relationships and enjoyment of life will greatly benefit! Don’t get confused by all the seemingly conflicting information on nutrition. See the bigger picture. Every effective diet does 2 things: it gets you eating less junk and eating more veggies. Always evaluate the effectiveness of your diet on 3 things: your health, your energy levels, your body composition. If these are not staying good or getting better, your diet is wrong. Don’t try to make massive changes to your nutrition or lifestyle. Small, simple, sustainable baby steps in the right direction are the real secrets to permanent lifestyle change. And this is what will have you looking and feeling great for the long-haul. Don’t follow the masses on an never-ending quest for the easy way out. Take the simple, hard effective road to great results! How about you? None of these lists are exhaustive. I invite you to join the conversation and share your thoughts, comments and/or questions on this issue. You can leave your comments below or on my Facebook Page. Also, if you have never seen Back to the Future II, or if you want a quick refresher, check out this clip.